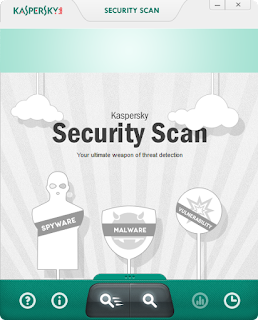 Kaspersky Security Scan is a free, comprehensive tool for malware analysis from Kaspersky. It's the perfect tool for both a precise analysis and as a second opinion, especially if you think your current antivirus won't be able to spot the threat. Kaspersky Security Scan uses the signature scanning engine and database of Kaspersky Anti-Virus, one of the best anti-malware ones on the market. You can perform a quick scan, or a full PC scan. At the end of the analysis, you'll be shown a report with any detected problems, including detected malware, vulnerabilities in the system, or other threats to the security of your PC. Kaspersky Security Scan is the perfect addition to your antivirus because it doesn't interfere in any way with either the anti-malware already installed on your PC, or with the firewall. Kaspersky Security Scan has an essential, easy to use, and modernly designed interface. The software is ideal for less experienced users, thanks to the absence of advanced features. From the main screen, you can start the analysis, or schedule automatic scans at specific intervals. Kaspersky Security Scan is a very valuable emergency tool that relies on the power of the Kasperky Engine and a signature database that's updated daily. It doesn't offer real-time protection or any advanced features, but it's easy for anyone to use. Kaspersky Security Scan does not replace a classic anti-virus, but it's an excellent complement, giving you an extra option to flush out any problems or malware from your PC.